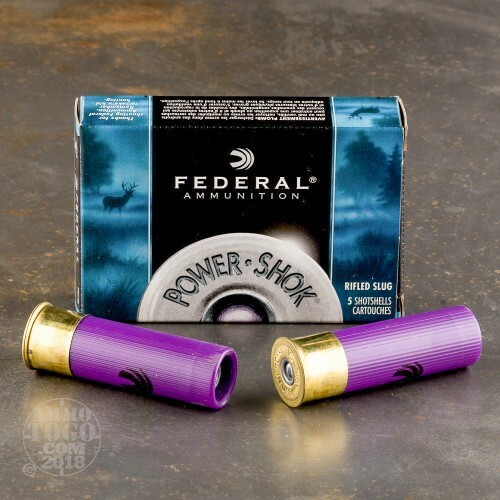 This is 16 Gauge Federal Power Shok 2 3/4" 4/5oz. Rifled Slug Hollow Point Ammo. 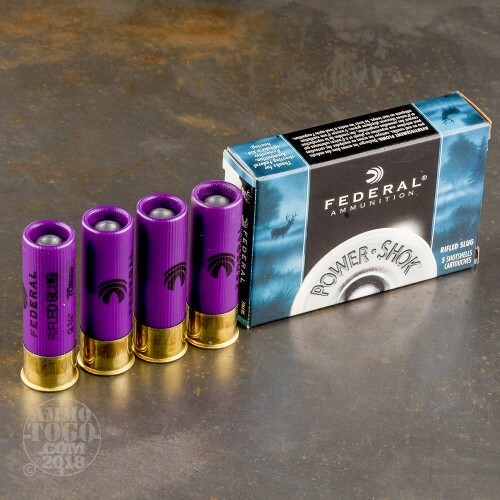 Federal Power Shok is an outstanding slug choice. 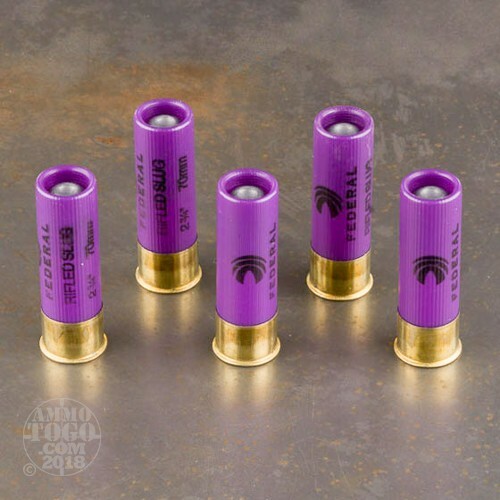 A one piece cushioned wad helps reduce felt recoil, and the hollow point provides positive expansion. This slug is for use in smooth bore barrels. "Rifled" slug means the slug is rifled, not your barrel. The muzzel velocity is 1600 fps. 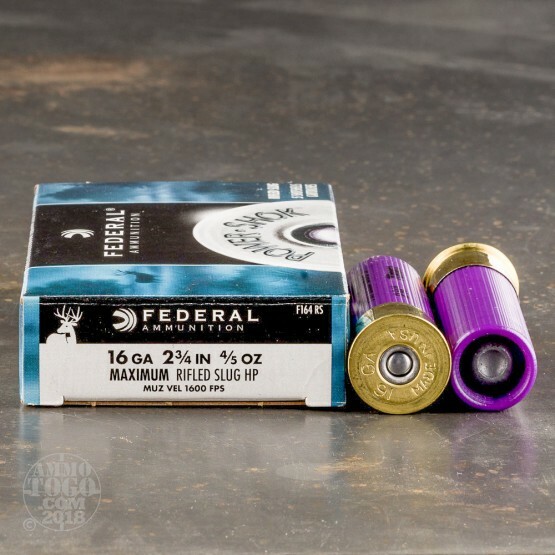 This ammo comes packed 5rds. per box.